1) Jeremy I, King of the Mosquito Nation - see below. * Some sources seem to suggest that his actual name may have been Oldham, rather than Oldman. Perhaps the latter and more popular spelling may be due to a misreading of contemporary seventeenth century handwriting. 1) H.M. Jeremy II, King of the Mosquito Nation - see below. 2) H.H. Prince Peter. Admiral and General. King-Regent during the minority of his nephew, Edward I, before 3rd October 1729 to before 19th May 1739. 1) H.M. Edward I, King of the Mosquito Nation – see below. 2) H.M. King George I, King of the Mosquito Nation – see below. 3) H.H. Prince Isaac, Duke of Boccaterra [a.k.a. Duke of York and Count of Stamford]. Sent as Envoy from his brother, King George I, to England together with his nephew, November 1774-January 1776. 1) H.H. Prince Eugene (eldest son), educ. SPG Mission, Sandy Bay. Commandant and Representative of Dukwara. Passed over by the chiefs and nobles at his father’s death, because he was still a child. Candidate for the throne in 1776, but passed over for a second time. A signatory to the oath of submission at Woollang, 14th November 1815. He d. after 1816. 2) ?H.H. Prince Perry, Duke of Brigales. General. Commandant and Representative of Belos Carma. A signatory to the oath of submission at Woollang, 14th November 1815. He d. after 1816. 1) H.M. George Frederic Augustus I, King of the Mosquito Nation – see below. 2) H.H. Prince Stephen, educ. SPG Mission, Sandy Bay. Baptised by the Rev Thomas Warren at Sandy Bay 1773. He had visited the Capital of Guatemala at the invitation of its government in 1797, in its endeavour to secure a treaty which, although failing, had the effect of constituting recognition of the Mosquito Nation as an independent power by that nation. Regent and C-in-C of the Mosquito Shore and Nation (sometimes styled ‘King Regent’ of ‘King Stephen, Prince Regent’) for his nephews King George Frederic Augustus II October 1801-14th November 1815 and King Robert Charles Frederick 9th March 1824-23rd April 1825. A signatory to the oath of submission at Woollang, 14th November 1815. 3) H.H. Prince Andrew, educ. SPG Mission, Sandy Bay. Baptised by the Rev Thomas Warren at Sandy Bay 1773. Admiral. Governor of Duckwarra and of the Central Provinces 1801-1815. 1) H.H. Princess Lyndia. She was k. by Deverin, August 1839. 1) H.R.H. Hereditary Prince Frederic, who succeeded as H.M. George Frederic Augustus II, King of the Mosquito Shore and Nation – see below. 2) H.H. Prince Robert, who succeeded as H.M. Robert Charles Frederic, King of the Mosquito Shore and Nation – see below. 1) H.H. Prince Robert Frederic. a) H.E. George William Albert Hendy, Hereditary Chief of Mosquito – see below. b) H.E. Andrew Hendy, Hereditary Chief of Mosquito – see below. 1) H.R.H. Hereditary Prince George Augustus Frederick, who succeeded as H.M. George* Augustus Frederic, King of the Mosquito Nation (s/o Queen Juliana) – see below. 3) H.H. Prince Alexander (s/o Queen Juliana). He was, apparently, sent by the Moravians to be educated in Germany in 1848, after the British Government had refused to pay for his education in England. He d. at Bonn, Germany, ca 1849. 1) H.H. Princess Agnes Anne Frederica [Inez Anna Frederick]. b. at Cape Gracias б Dios, 1831 (d/o Queen Juliana), educ. Moravian Mission Sch, Bluefields. Approved the cession of San Juan del Norte (Greytown) to Nicaragua against the wishes of her brother, the king, 28th October 1847, For a brief time in 1849, she was considered a possible heir to the Miskito throne. m. Michael Hodgson, Mbr Council of State to 1860, and of the General Council from 1860, a descendant of Colonel Robert Hodgson, Jnr., British Superintendent of the Mosquito Coast 1767-1777.
a) H.E. Prince Jonathan Charles Frederick, Hereditary Chief of Mosquito – see below. a) H.R.H. Hereditary Prince William Henry Clarence, who succeeded as H.E. Prince William Henry Clarence, Hereditary Chief of Mosquito– see below. b) Alexander Clarence. Candidate for the chieftaincy in 1888 and 1890. The new Nicaraguan Governor of Bluefields later attempted to induce him to accept the chieftainship after learning that nobody supported Andrew Hendy, but “he fled to Belize before General Reyes’ advances” in 1896. * These two princes have been confused as a single individual as a consequence of an error in the writings of E.G. Squier (pseudonym Samuel A. Bard), who omitted a comma when listing the King’s sons in his attempt to reproduce the late King’s published testimony of 1840. “…the Princes George, William Clarence and Alexander…” being transposed by Squier as “… the Princes George William Clarence and Alexander…” He then continued the error in all his subsequent writings, along with a number of other important mistakes on dates and people, place names, geographical features and locations. Thereby confusing a good many others who followed in his wake and who depended too heavily on his supposed knowledge of the people and customs of the region. It is now almost certain that Squier never so much as set a single foot on the Mosquito Coast, let alone Bluefields or met her king. Although respected for his earlier work as an archaeologist in northern America, he later entangled himself in Central American politics and had interests in the US ambitions for a canal in the region. He was declared insane in 1874 and has since been exposed as a propagandist of the worst kind, in relation to most of his writings on Central America. Like a lot of American writers of the period on the Mosquito, Haiti and other places, Squier is full of condescending bile and mockery on all things non-white. 1841 – 1865 H.M. George Augustus Frederic, By the Grace of God King of the Mosquito Nation. b. at King’s House, Cape Gracias б Dios, 1832, eldest son of H.M. Robert Charles Frederic, King of the Mosquito Nation, by his wife, H.M. Queen Juliana, daughter of General Thomas Lowry Robinson, educ. Moravian Mission Sch, Bluefields, Honduras Free Sch, Belize, and in Kingston, Jamaica. Nominated as Heir Apparent by his father, in his testament deed dated 25th February 1840. Proclaimed as King of the Mosquito Nation on his death, 8th October 1841. Reigned under a Council of Regency composed of Prince Wellington, General Thomas Lowry Robinson and Colonel Johnson, 1842-1845. 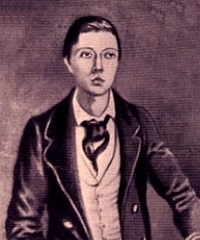 Removed his capital to Bluefields in 1844. Crowned by The Hon & Rev Dr Matthew Newport at the Church of St John the Baptist, Belize, 7th May 1845. Constituted the Council of State 10th September 1846 to advise him and to conduct the government of the country. Forced to change his title from King to ‘Hereditary Chief of Mosquito’ as a consequence of the Treaty of Managua, 28th January 1860. Proclaimed the Municipal Constitution of the Mosquito Reserve 12th September 1861. Received the uniform of a post Captain, RN (or Hon Capt in the Royal Honduras Flotilla?) 1845. Hon Major The Prince Regent’s Royal Honduras Militia. Colonel-in-Chief Royal Bluefields Militia 1845-1865. A refined and cultured gentleman who, according to Captain Bedford Pym spoke English so perfectly, without the least trace of a foreign accent, that it was better than any he had encountered out of England. m. after 1860, a creole lady. He d.s.p. legit. at King’s House, Bluefields, 27th November 1865, having had issue, several sons (all deemed ineligible to succeed him because their mother was not of pure Indian stock). 1) H.E. Prince Robert Henry Clarence, Hereditary Chief of Mosquito – see below. 1879 – 1888 H.E. Prince George William Albert Hendy, Hereditary Chief of Mosquito. Proclaimed as Hereditary Chief after the death of his cousin, following election by the General Council, 23rd May 1879. Received into the Moravian Church and formally baptised on the day of his proclamation. Formally installed at Bluefields, 17th June 1879. Colonel-in-Chief Royal Bluefields Militia 1879-1888. Dir “The Mosquito Coast” newspaper 1887-1888. He d. suddenly in an accident at Pearl Cay Lagoon, 8th November 1888 (succ. by his cousin). 1888 – 1889 [1894 & 1894-1914] H.E. Andrew Hendy, Hereditary Chief of Mosquito. Proclaimed by the Nicaraguans on the death of his cousin, 8th November 1888. Repudiated by the Mosquito and abdicated in favour of his cousin, 8th March 1889. Retired to Nicaraguan territory where he became a Miskitu Jefe Inspector and River Magistrat. 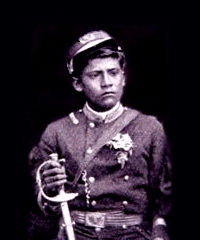 He was subsequently chosen as a rival Chief of the Mosquito by General Rigoberto Cabezas deposed Robert Henry Clarence in 1894. Reappointed for the third time and formally installed at the Government Palace, Bluefields, 20th November 1894. Accepted as chief by his own relatives and some groups of Mosquito who resided in Rio Coco within traditional Nicaraguan territory, but opposed by the vast majority on the Mosquito Coast, who saw him as a Nicaraguan stooge and rebelled against both in 1896, 1899 and 1900. On both occasions petitioning fo the return of their ‘rightful King’, Robert Henry Clarence. m. two wives. He d. at Rayapura, Rio Wangki, 1914, having had issue, at least three sons (two of whom were educated by the Nicaraguan government in Managua, a third in the USA). 1889 – 1890 H.E. Prince Jonathan Charles Frederick, Hereditary Chief of Mosquito. b. at Lyasiksa, North Mosquito, 1865, eldest son of H.H. Princess Matilda, second daughter of H.M. Robert Charles Frederic, King of the Mosquito Nation, by a junior wife, educ. at the Moravian Mission, Great Corn Island. Elected as successor to his cousin by the chiefs and nobles of the Mosquito Nation, 7th March 1888. Formally proclaimed and installed as Hereditary Chief of Mosquito, at Government House, Bluefields, 8th March 1889. Colonel-in-Chief Royal Bluefields Militia 1889-1890. He d. from an inflammation of the liver, resulting from a fall from and kick by his horse five days earlier, at King’s House, Bluefields, 11th November 1890 (bur. there at Blakesly Hill Cemetery). a) Rosalyn Clark Henry. b. at Sandy Bay Sirpi, 192X. m. and had issue. Robert Frederick, Heir Apparent to the Mosquito Kingdom. b. ca. 1855, son of Princess Matilda, daughter of H.M. Robert Charles Frederic, King of the Mosquito Nation. Succeeded on the death of his cousin, as Heir Apparent to the Mosquito Kingdom, 6th January 1908? He d. at Aubrayeri, Wanks River, Honduras, after 1928. [In 1977] Norton Cuthbert Clarence, Heir Apparent to the Mosquito Kingdom. Proprietor of a pool hall in Pearl Key in 1977, interviewed by a visiting linguist who reported that he was regarded as the legitimate heir to the kingdom. Possibly a grandson of Robert Henry Clarence (same as Morton?). According to one source, a certain Herbert Henry Clarence was supposed to be next in line to be King. He left a Daughter who was born in 1949, who would have carried on this legacy and she has two sons, the first born who would carry on the tradition: Sean Henry Clarence.